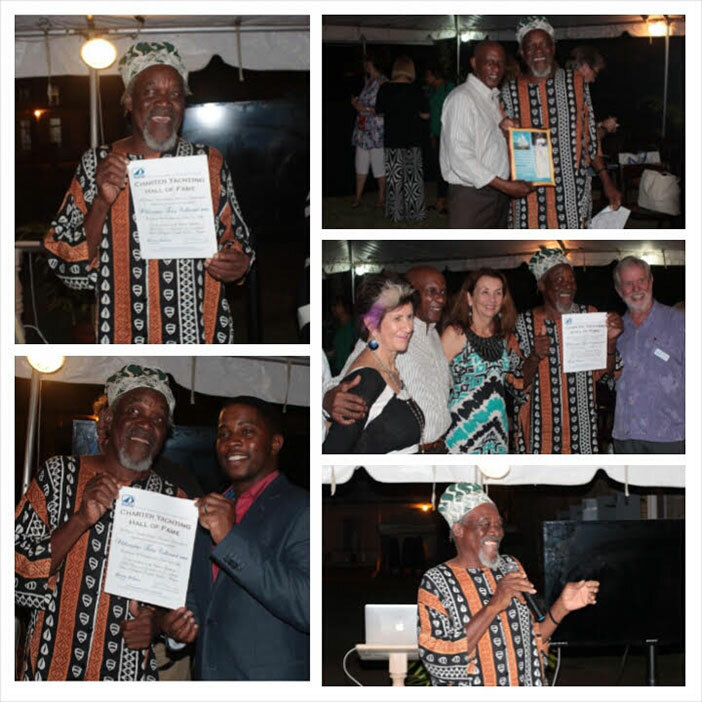 British Virgin Islands cultural stalwart and tourism icon Philicianno ‘Foxy’ Callwood, MBE was inducted into the Charter Yacht Boating Association (CYBA) Hall of Fame in Antigua and Barbuda on December 6. 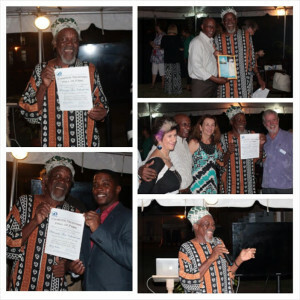 Foxy was recognised for his contributions to the tourism sector of the Caribbean. He is one of only ten persons to have received this honour. The induction ceremony was held at Copper and Lumber Store Hotel, Nelson’s Dockyard as part of the Antigua Charter Yacht Show held from December 4 to10. Honourable Turnbull noted that in terms of tourism, Foxy should be applauded and recognition be given to him to ensure that he remains one of the Territory’s tourism ambassadors. The Second District representative said it was a pleasure to be a part of the recognition ceremony and engage with officials from CYBA and other friends and well-wishers. Foxy Callwood is the proprietor of Foxy’s in Jost Van Dyke. According to his website, his mini empire sprang from humble beginnings, just down the beach from its current location, beside the quaint little Methodist Church in Great Harbour. In anticipation of the BVI harvest festivities, Foxy saw a need for libations to be served for those giving thanks for another successful harvest. He built a cement slab and erected what has since become a typical beach bar seen almost everywhere on Jost Van Dyke. In January of 1968, after he had already made a positive impression, he moved to the present location, expanding a little at a time as finances permitted, and the rest is history. He now has two restaurants. The second one, Foxy’s Taboo, is located beside Diamond Cay in East end.